The top ten winners of the Zambia Agribusiness Bootcamp have been announced. 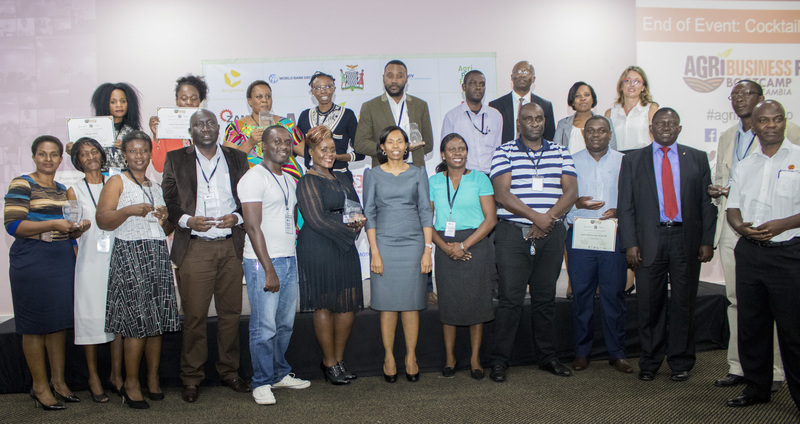 The top 10 were announced at the final and pitch event of the Agribusiness Bootcamp Zambia held at Lusaka’s Mulungushi International Conference Centre (MICC) on Friday 23rd March, 2018. The 10 become the first beneficiaries of Zambia Agribusiness and Trade Project (ZATP)’s Market Connect. MarketConnect is an advisory, brokerage and financial support service provided by the Zambia Agribusiness and Trade Project (ZATP) that aims to promote the sustainable integration of agribusiness SMEs into value chains with established end-markets and large buyers, by supporting their ability to invest in productivity-enhancing know-how and meet buyer requirements. The ten winners will further receive 6 weeks of follow-on mentoring and support delivered directly by experts. “The bootcamp has provided ambitious Zambian entrepreneurs in agriculture with exposure to industry leaders and business insights from people in business.” Said Ina Ruthenberg, World Bank Country Manager for Zambia. The Zambia Agribusiness Bootcamp was a competitive mentoring and training program designed to help growth-oriented SMEs who operate in value added agribusiness to derive concrete and feasible expansion plans. Over the last three months, the bootcamp supported participating enterprises through coaching, market contacts and peer learning. “The bootcamp is a precursor to the up-coming MarketConnect service, which is a five-year program that will be launched by the Ministry of Commerce, Trade and Industry under the ZATProject.The ten winners ‘agri-preneurs’ will become the first beneficiaries from our MarketConnect service” Said Kayula Siame, Permanent Secretary, Ministry of Commerce, Trade and Industry. The Bootcamp, sponsored by the World Bank Group and the Zambian Ministry of Commerce, Trade and Industry, in partnership with Lusaka’s entrepreneurship hub BongoHive and AgriProfocus, was the first ever in the country and it focused on supporting small and medium enterprises in the Agro-processing industry.